Please contact Michelle Koplik with any questions or call 212-263-3936. 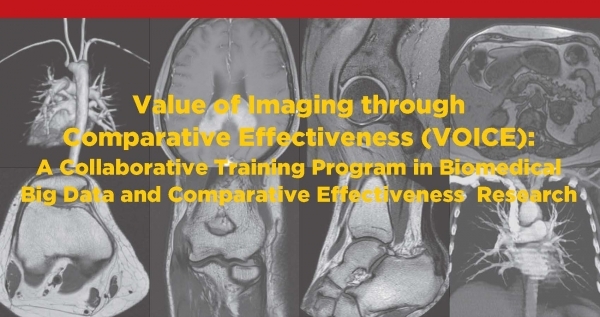 The course has been developed to allow imagers to gain the skills necessary to analyze Biomedical Big Data and perform comparative effectiveness research to demonstrate the impact and value of imaging. The course uses an innovative hybrid on-line and in-person method of learning. There are three individual courses that will each consist of two-day interactive in-person sessions, followed by approximately 16-20 hours of on-line didactics. This program will begin in September 2018. Each course will begin with a two-day interactive in-person session, followed by approximately 16-20 hours of on-line didactics. All three in person sessions will take place at NYU Langone Medical Center. Faculty for the courses will be national experts in both comparative effectiveness and big data analytics. Faculty for the courses will be national experts in both comparative effectiveness and big data analytics.